Christmas is a time for giving. God set the standard by giving us Jesus. Mary gave herself. Joseph gave up his pride. The shepherd’s gave their trust and time. 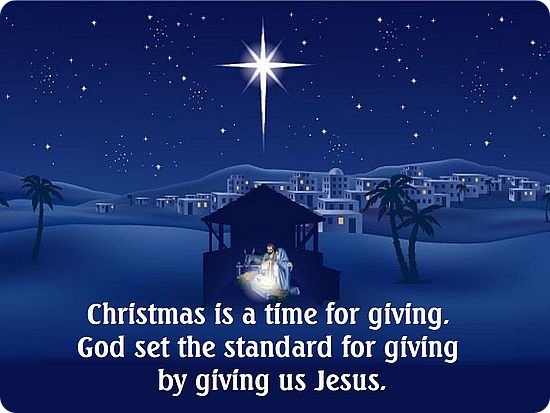 We too will give of ourselves this Christmas, we will give love gifts and we will give gifts of love. The difference between gifts of love and love gifts is the same difference between the head and the heart. The year was 1991 in March I was diagnosed with Myasthenia Gravis. For Christmas that year Patti scrapped up and pinched every penny she could to give me a gift of love, a recliner so I could plop down and rest when the disease weakened me. Love gifts are gifts of the heart! Jesus is, was, and will always be a Love Gift from God’s heart. while it is true there is room in our lives for both love gifts and gifts of love the gifts that are lasting and life changing as a general rule are those falling under the category of gifts of love. As I look back over my life especially at Christmas time the gifts of love given me continue to stand out. In the early 1950’s our home was struck by a tornado forcing us to live in our garage converted into living quarters by my dad at Christmas that year dad build Alan, my brother and yours truly hobby horses out of wooden nail barrels. I can’t remember what every became of them but I can remember seeing Alan riding tall on his. And then there was the homemade wooden go kart dad made. The gifts of love we give are gifts that keep on giving and giving, not giving “things” but giving anchor points of love. They are gifts that mold our future. Gifts of love are those gifts that follow in the “heart prints” of God. As a knitter, the love and work that goes into making a hand made something to me is precious. I especially like putting a pair of socks into the stockings , some love them others not so much but prayers are saidwhile knitting and go with the recieve of the gift .